The winter season is probably one of the quietest ones when it comes to garden productivity. Regardless of that, people who love gardening know that there won’t be long before the spring arrives. Shortly, spring can be seen as a magical period when every single plant and flower in your garden comes back to life. Moreover, birds are chirping, squirrels are playing in trees looking for food and everyone seems happy to be under the sun. Since the spring season can be quite hectic for any garden lover, it is important to do some prepping beforehand. Preparing everything for spring can take a little time, but if you’re organised enough, this won’t be a problem for you. One of the first things you need to do is to clean up your garden beds and get rid of broken branches and leaves that have been collected on the ground. This is a vital chore that allows you to protect bulbs and plants that are going to be popping out of the ground. Furthermore, you need to do the same thing for trees and bushes. Trim down any broken or dead branches and make them look their best for the rejuvenation season. When talking about cleaning, it is good to mention the importance of cleaning and looking after gardening tools. Sharpen your tools to improve their performance and make them as good as new. Ordering bulbs and seeds can be a fun task for a dull and windy day! Lilies or Gladiolus are two kinds of flowers that can be planted early in the spring for an amazing summer background in your garden. They come in different colour combinations and even looking at them in magazines can be a real pleasure. Show your soil some love by cleaning weeds and necessary nutrients. Think about your water features and clean the ponds by removing the accumulated leaves. If you don’t have a pond and you’re looking to get one, Water-garden.co.uk might help you find the most appropriate water features for your garden. They also offer garden lights, fish pond filters and water cascades. When it comes to garden pests, they can be rather destructive for your plants and cultures. 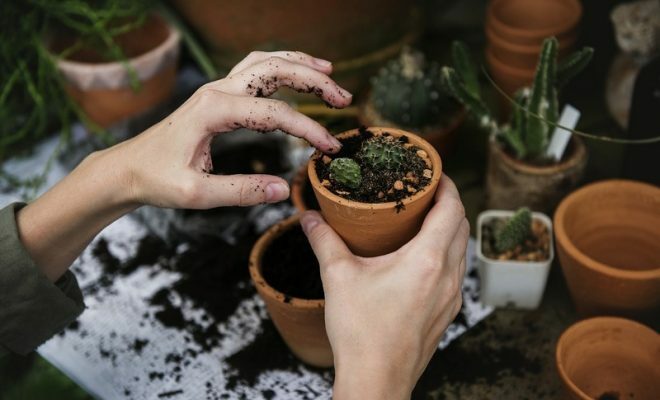 Being prepared to eliminate them in advance saves you a lot of possible damage to your plants and ensures that you won’t have to use chemicals to get rid of them. If you take a closer look at perennial plants, you might find snails and slugs that are waiting patiently for the spring season. You could use homemade repellents that contain garlic or vinegar to discourage moths or other pests from invading your land. Even though it is cold outside, now it is the perfect time to take care of little jobs. Make sure to fix any broken tools or fences now so that you can spend as much time as possible in the garden during spring or summer. Dry periods are the perfect time to treat your wooden garden structures. If you’re feeling productive and you feel like your deciduous shrubs could do with a move, now it is the perfect time to do it. Make sure to plant them at the same level in the soil and water them frequently. Getting your garden ready for the spring can mean many different things, laying new turf, planting new flowers or purchasing a new shed from Project timber. Whatever you do, it will improve the look of your garden!